Everyone wants to have fun in the sun during the summer months. But though the weather lends itself to outdoor activities, there are precautions you should take when spending a long amount of time in the heat. It is even more important for older adults to stay safe in the warmer months to avoid heat exhaustion. 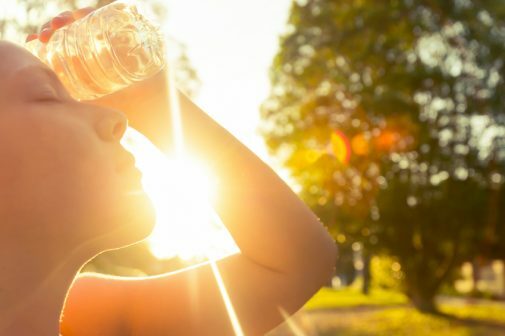 Heat exhaustion is a heat-related illness which primarily results from a combination of long exposure times in the heat and a lack of proper hydration. The warning signs of heat exhaustion may include heavy perspiration, pale skin, muscle cramps, weakness, feeling tired, headache, nausea, vomiting and fainting. Heat stroke is a more serious result of long-time heat exposure. A heat stroke occurs when someone has been exposed to the heat for so long that their body is not able to regulate its own temperature. If immediate treatment is not provided, heat stroke can result in permanent brain damage or death. Signs of a heat stroke include a body temperature of about 103 degrees, red, hot dry skin (the body does not sweat during a heat stroke due to its inability to cool itself), rapid and strong pulse, nausea and vomiting and dizziness. Older adults are more prone to conditions related to heat. Someone over the age of 65 is much more likely to develop heat stroke or suffer from heat exhaustion. Older adults’ bodies are slower to adjust to the heat and regulate their own temperatures. Many older adults are also on medications that cause changes in their normal body temperature, such as making them feel cold all the time. Due to this condition, they do not always notice right away when they have been outside in the heat for too long. If you have an elderly loved one, check on them during the summer months to be sure that they are safe and have easy access to air conditioning. Dr. Nawab encourages being proactive with early cooling to reduce the likelihood of one’s health and life being at risk. Avoid being outside for long periods of time during the hottest part of the day (10 am-2 pm) whenever possible.